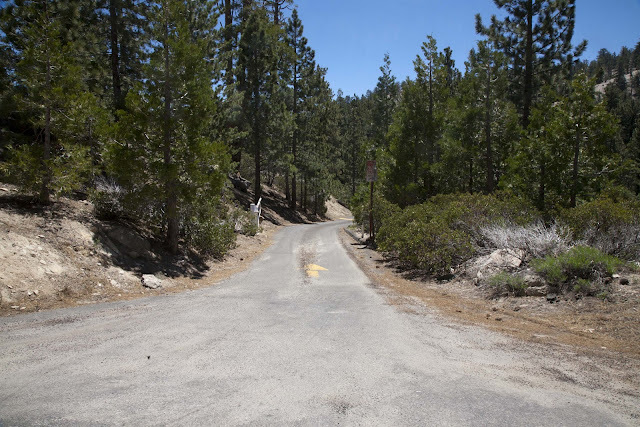 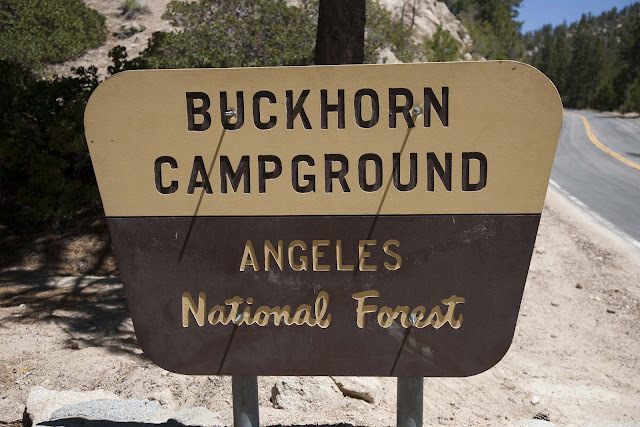 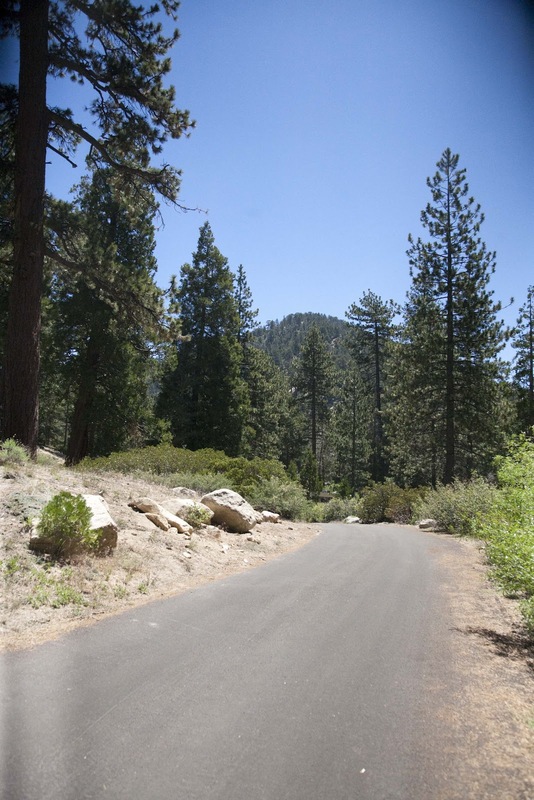 Awhile back we heard that Buckhorn was the most Sierra-like campground in the Angles National Forest and since then we've been itching to go. So when Amanda's cousin asked us to take her and her son camping in the mountains and we thought this was the perfect campground. We've tired to go last year, but between fire closures and renovations (heard it got a pretty nice makeover!) it had been closed for a while. 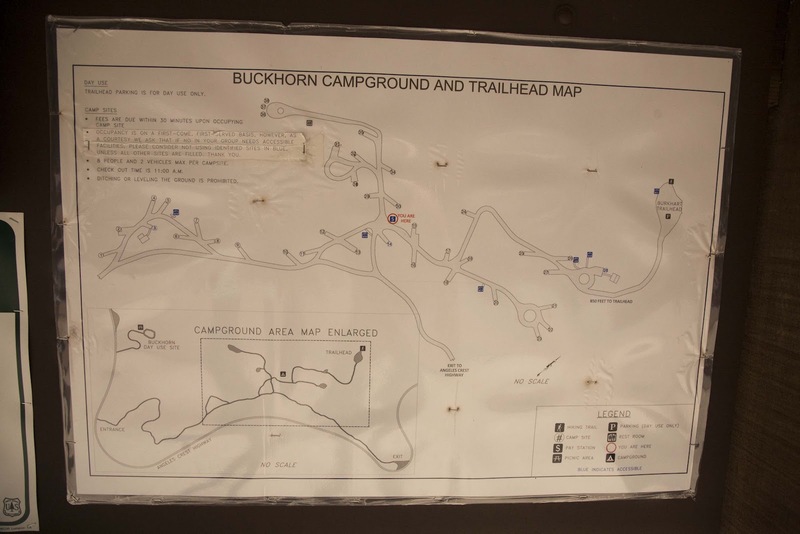 The week before we camped here we passed through Buckhorn on our way to the Burkhart Trail Head to Cooper Canyon, and it looked like a commendable campground. But spending a little time here made us fall in love. 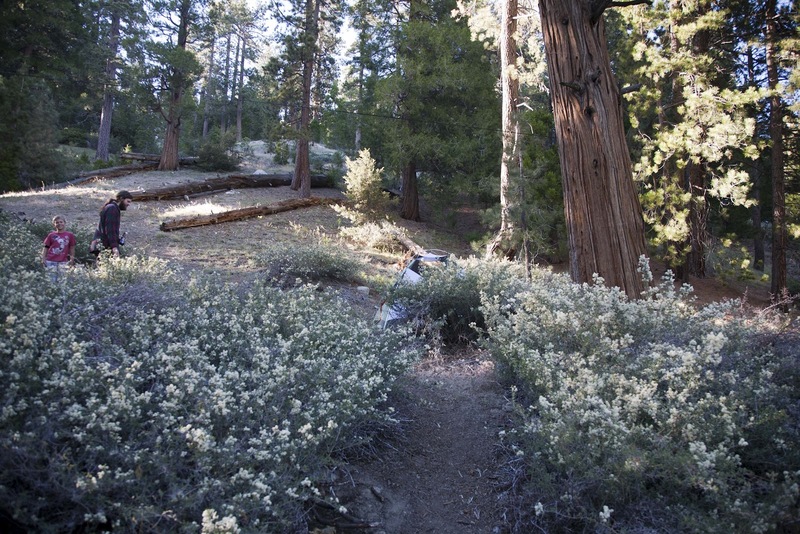 It really is a magical little piece of the Sierras in the San Gabriel mountains. The campground is set in a small gently rolling canyon that was created by the stream running through it. There are many different pines, ferns and wild flowers. 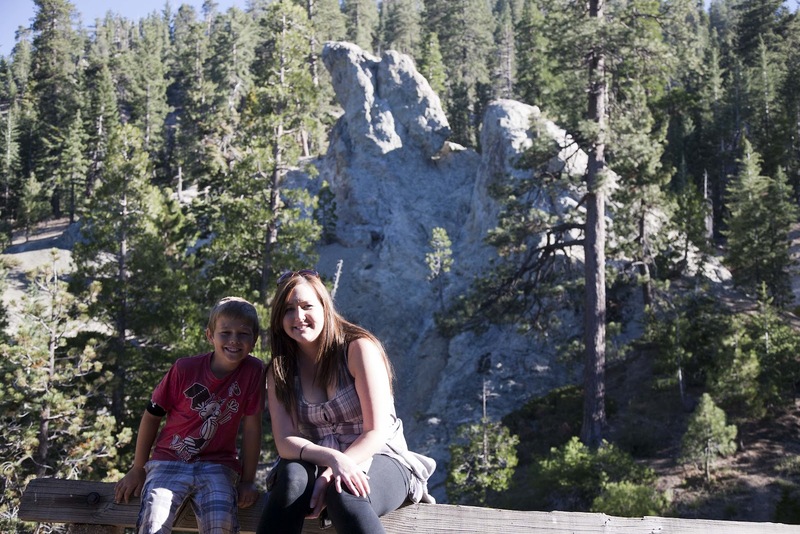 There are a total of 38 sites and on weekends this place fills up quick. 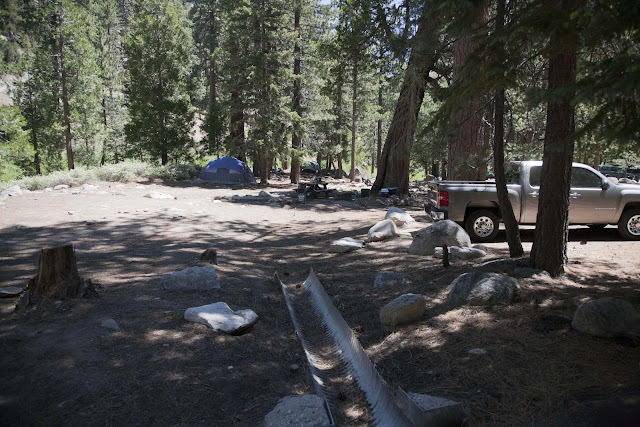 We arrived around 4 o'clock on Friday in June and got the last spot in the whole campground. 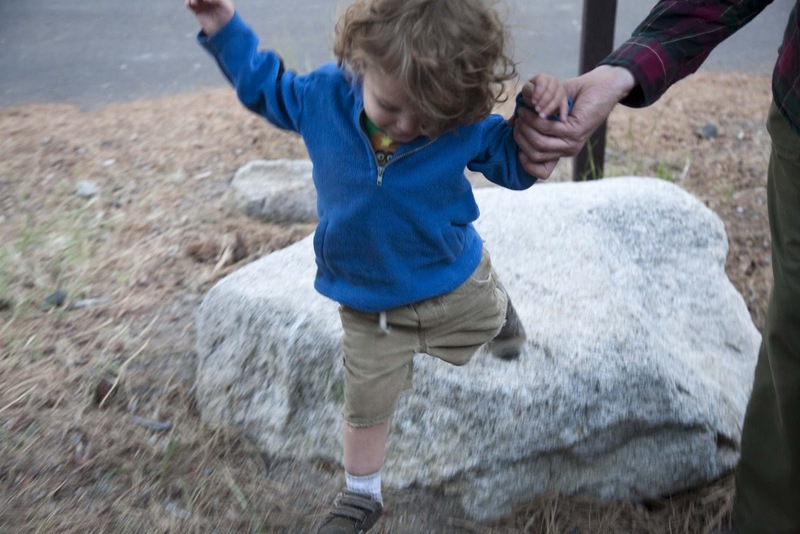 It was small and on a slop but it did the job quite well. 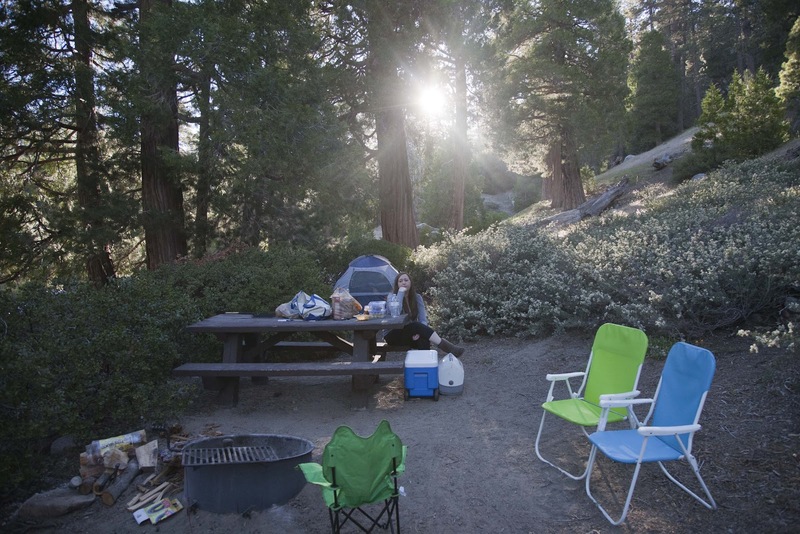 Most camp sites are well separated and a few have a lot of space. 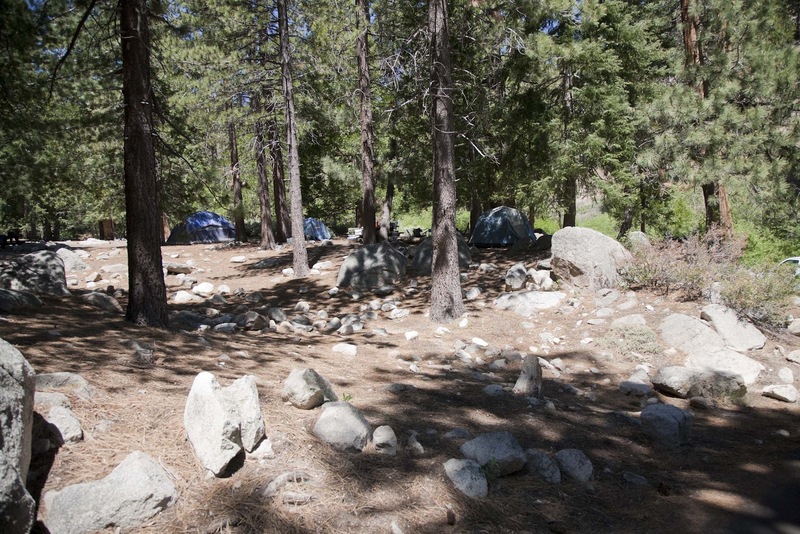 There is also a community campfire ring in the middle of the campground, always fun for the large group that can't fit into one campsite. 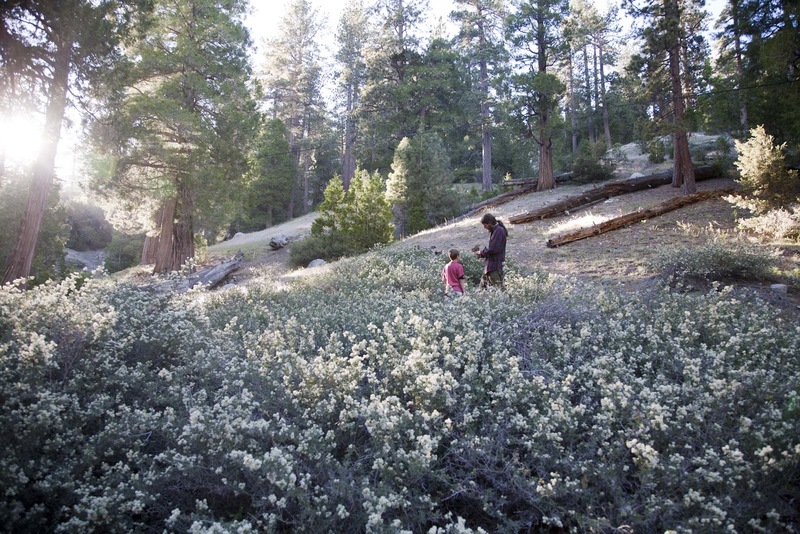 Hiking and bird watching (we ran into the Pasadena Audubon club bird watching) opportunities abound in the area. 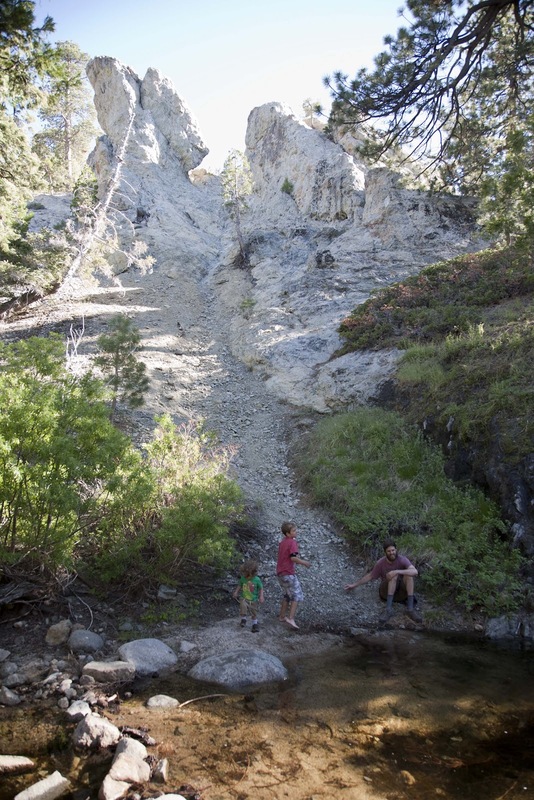 The PCT and Cooper Canyon Falls are a short hike away. 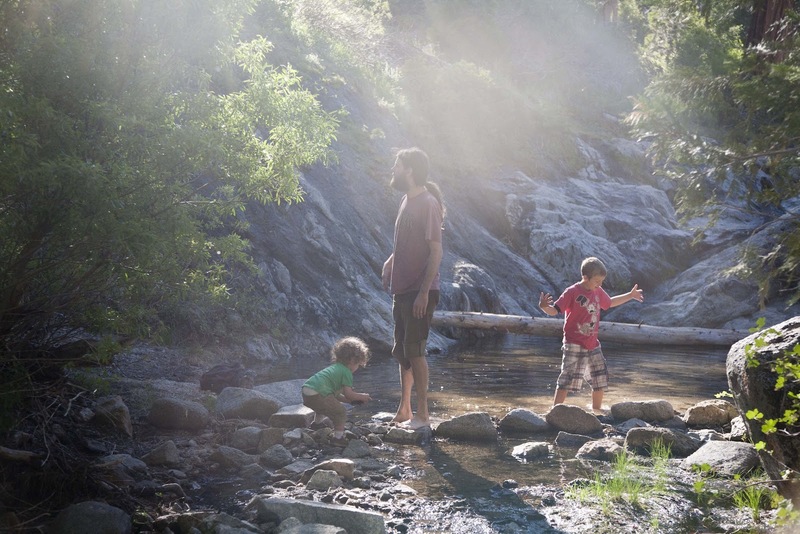 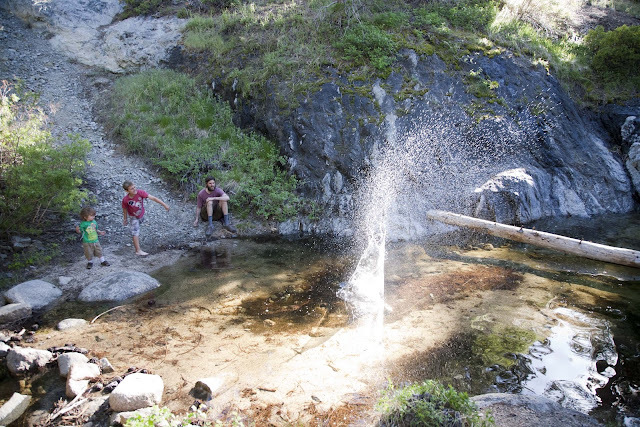 The stream that runs through the campground is a great place to find small swimming holes and perfect for the little ones to have fun exploring. We are grateful to have such a great campground about an hour from our house!